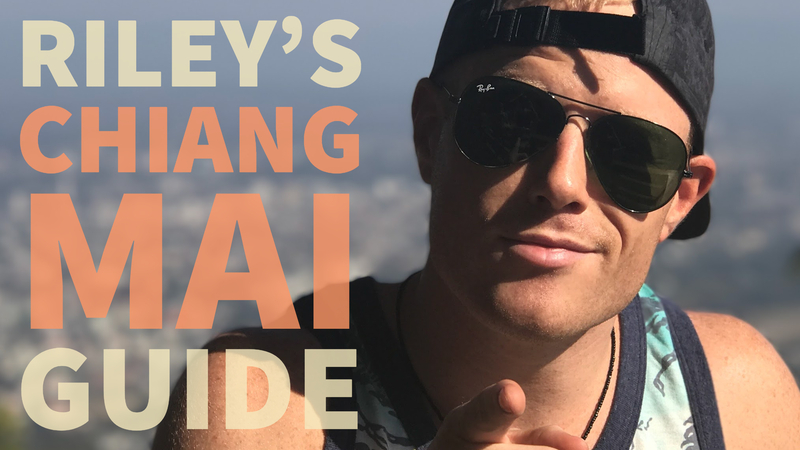 Full Chiang Mai guide coming soon! Zoe in Yellow, in old city. The main touristy party spot, a collection of outside bars. Red Trucks! Aka Songtaews - like a hop on hop off bus / taxi fusion, just flag them down and say where you wanna go (use landmarks), and if they're going in that direction, they say Okay and hop in, or if not they say No. When you wanna hop off, ring the red button on the ceiling and they will stop. Often they will drop you on the closest main road to your destination... its a bus-taxi fusion. Ride a motorbike up to Doi Suthep Mountain to the Golden Temple. Great cruise! Maybe not for first time riders although that was my first motorbike ride ever. How to handle SIM Cards & 4G Packages! Here's the best way to do it to get the most data for best price folks! How fast is the 4G in Thailand? The 4G is fast. It's 4G! Like 30/30 mbps or better most of the time. ** Another plan I'm using - 30-day Unlimited data @6mbps which is fine for everything *777*7211# - been working good. Just get the cheapest package, or Traveler SIM 7 day unlimited is fine. You just need the SIM. Option 1: Top up at any of the orange machines, outside most 7-11's. Select top-up amount. Always top-up at least 20-50 baht extra than your desired package cuz it will charge a fee. You should get an SMS confirmation. Done. Option 2: OR top up ONLINE! At mobiletopup.com... it works! Can pay with Credit Card, Paypal, or Bitcoin! Step 3: Activate a data package! You must activate some package after topping up or internet won't work. Sometimes it does but very slow. This is the best plan I found to get the most data for the cheapest. They are 7-10 day plans, but because of this you get lots of data for low price. Good for high data users and instagrammers like me. If you know of any other 30-day plans that have 15Gb or more lmk! Dial *501*3# to see the packages menu. > choose the amount of GB you want on the first screen. I choose the highest option, 5Gb. > then choose the days that you want it to last, they are different prices. I choose 10 days. > then reply 1 to confirm. Or I just dial *501*3751# to automatically confirm the 5Gb 10-day for 175 baht. You should get an SMS confirmation. This is the public wifi "AIS SUPER WIFI" that's in every Starbucks, TomToms, Malls, and other places. It's so fast for uploading videos! I use it every day! it will SMS you a PIN to login to the wifi network. Username is your phone number. It auto deducts 99 baht from your topup balance each month! Your phone DOES need to be 'unlocked' to use a foreign SIM. Aka you can't be in a contract with Verizon or T-Mobile or something. If you ARE, some small phone shops can do 'manually unlock' it. It's safe, it's different than 'jailbreaking'. In Chiang Mai the shop at the basement floor of Kad Suan Kaew mall has a sign adversing 'PHONE UNLOCK'. You might see other small phone shops around advertising this, in touristy areas. In Bangkok there's signs advertising this on Khaosan Road. Are you guys going to Chiang Mai? What do you want to know? Already been? Share your tips!